There are lots of beautiful gems commonly use in jewelry, and before you make any major purchases, it helps to understand your options. Whether you are looking for a specific color or simply want to know which gem can stand up to daily use and abuse, a list of gemstones and their features is a handy tool to have at your disposal. 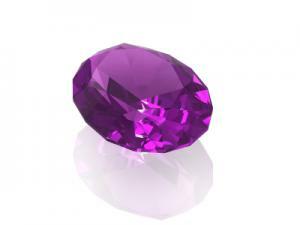 Known for its beautiful purple color, this versatile gem is relatively durable. According to Mindat.org, amethyst is actually a type of quartz, and iron within the crystal structure provides the purple hue. Amethyst can be light or dark in color, depending on how much iron is present. It rates 7.0 on the Mohs scale, which means amethyst jewelry is durable enough for daily wear. Pricing depends on the grade of the gem, but in general, it is more affordable than many other options. Amethyst is the birthstone for February. The exquisite pale blue color of aquamarine makes it a beautiful choice for engagement rings and other jewelry. 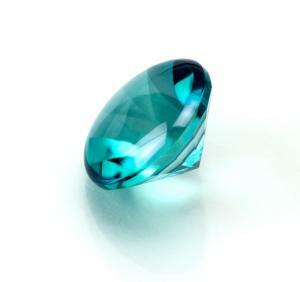 According to Minerals.net, aquamarine is a type of beryl and a cousin of emerald. It ranges from very light blue to a more intense, greenish blue. Since it rates a 7.5 to 8.0 on the Mohs scale, aquamarine is a great option for jewelry that may take a bit of abuse. Especially clear, bright aquamarine can be very costly, but paler, more included gems can fit in most budgets. Aquamarine is the birthstone for March. A cousin of amethyst, the yellow color of citrine comes from heating the iron in the quartz crystals, according to the International Colored Gemstone Association. This heating can and does occur in nature, but it is also common for citrine to be heat-treated. The stone can range from pale yellow to a deep amber hue. Citrine rates 7.0 on the Mohs scale, so it's a good option for regularly worn jewelry. It's an affordable choice that fits within many budgets, although especially clear gems are more costly. Citrine is the November birthstone. One of the most desirable and costly gems in existence, diamonds are a popular choice for engagement rings and other jewelry. Actually a form of carbon, diamond is the hardest substance naturally occurring on Earth, according to the Gemological Institute of America (GIA). With a rating of 10.0 on the Mohs scale, diamonds are an excellent choice for rings and other jewelry that will be worn frequently and subjected to less-than-ideal conditions. 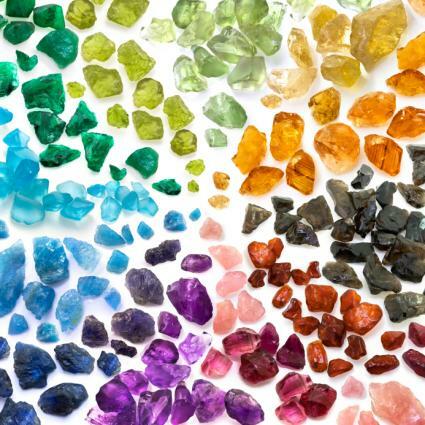 In its pure form, diamond is colorless, but various elements in the crystal structure and certain environmental conditions can produce colors ranging from deep brown to yellow, blue, pink, and green. Diamond is the birthstone for the month of April. A form of beryl and a cousin of aquamarine, emerald is famous for its gorgeous green color. It can range from a blue-green to a yellow-green, according to Geology.com. With a Mohs hardness rating of 7.5 to 8.0, emeralds are harder than many other precious gems. However, they contain many internal fissures that make them brittle. It's important to consider this factor when buying emerald jewelry, since this gem is not ideal for daily wear. With an average per-carat cost of about $126, emeralds are more expensive than rubies and sapphires but less than a tenth the cost of diamonds. 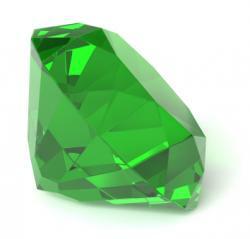 This beautiful green gem is the birthstone for May. Fire opal is a form of opal that comes in stunning shades of orange and yellow. Gemval indicates that the medium orangey-red tone is the most valuable, at about $155 per carat, but at its palest yellow, the gem is less than a third that cost. Fire opal is an attention-grabbing and fragile gem that is enjoying great popularity. According to the U.S. Geological Survey (USGS), it is the second most commercially important form of opal. Some of the most beautiful specimens come from Mexico and Oregon, and you can also purchase some truly gorgeous African fire opals. 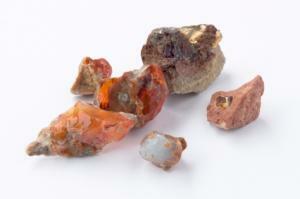 When buying fire opal jewelry, it's essential that the gem is protected by the setting and not subjected to daily wear. The beautiful flashes of color in this orange gem come from numerous internal fissures. With a Mohs hardness rating of only 5.5 to 6.0 and the fiery internal cracks that give it value and personality, this is a very fragile stone. Traditionally thought of as a deep reddish-purple gem, garnet actually comes in a number of colors, including orange, brown, green, and pink. The Minerals Education Coalition notes that only a fraction of garnets meet the standards necessary for jewelry. This gem rates as a 6.5 to 7.5 on the Mohs scale, and it's a good choice for most types of jewelry. As the birthstone for January and an affordable option compared to other precious gems, it enjoys great popularity. Iolite is a pretty blue or violet-toned gem composed of the mineral cordierite. 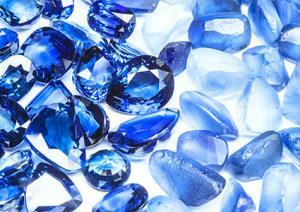 A unique quality of the gem is that it can appear blue or violet when examined from one direction, but when turned, it looks perfectly clear. This may be what leads to its nickname of "water sapphire." According to Geology.com, iolite has a much lower price point than other blue gems like sapphire or tanzanite, but until recently, many jewelry consumers were unaware of it. It is likely that the price will go up as the popularity also rises. Iolite has a Mohs hardness rating of 7.0 to 7.5, but it is still not ideal for rings. This is because it tends to fracture in one direction when struck. If you choose to purchase this gem, make sure the setting protects the stone. One of the most stunning blue gems available, lapis lazuli is a gorgeous choice for jewelry featuring cabochons and carved elements. 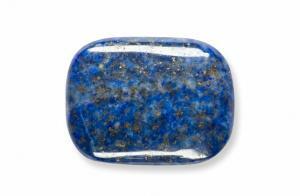 The GIA reports that unlike many other gems, lapis lazuli is an aggregate, or combination, of several different materials. It frequently includes specks of iron pyrite, or "fool's gold," as well as while streaks of calcite. Specimens that are a deep, dark blue with no calcite are the most valuable. This gem rates as a 5.0 to a 6.0 on the Mohs scale, which means it is best in a protected setting. However, its soft texture allows it to be carved and shaped in ways that many other gems cannot. 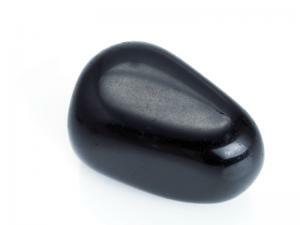 Onyx is a black or white gem that is a popular choice for jewelry. According to Mindat.org, it is actually a type of banded agate that is often dyed black for jewelry. This gem is extremely affordable, and with a Mohs hardness of 6.5 to 7.0, it's a good choice for pieces that don't receive a lot of abuse. The black color makes it a popular option for masculine jewelry and religious pieces. The birthstone for October, opal is a spectacular and very delicate gem that captures the imagination. In addition to orange fire opals, this gem comes in a wide variety of colors. 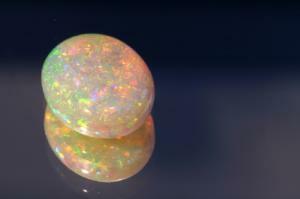 The traditional and most popular of these is white opal, which is a milky shade with rainbow flashes. According to Minerals.net, most opals range from about 4.5 to 6.5 on the Mohs hardness scale, which is very soft for a gemstone. It also contains cracks and open areas within the stone that can make it unstable and prone to fracturing. Although you can purchase this gem for daily wear, such as in an opal engagement ring, it's essential that the stone is well-protected by the setting. In general, opals with more fire are among the most expensive. While not technically a stone, pearl is an important gem for jewelry consumers. 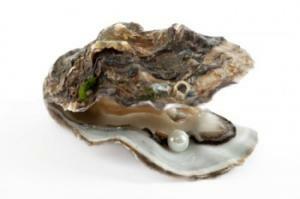 Instead of being mined from the earth, pearls are created by oysters. The GIA notes that pearls come in a range of colors, including white, pink, black, yellow, gray, and brown. They also come in various shapes and sizes with large, round pearls among the most valuable. The thickness of the luminous outer layer, or nacre, also determines value. Pearls are among the most delicate gems you can purchase, with a Mohs hardness of only 2.5 to 3.0. This means that they are not a good choice for rings or for items that receive daily wear. Pearl is the birthstone for June. As the August birthstone and an affordable and lovely gem, peridot enjoys great popularity with jewelry consumers. 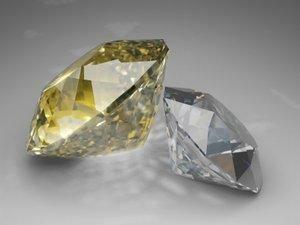 The USGS reports that this yellow-green gemstone has been a top choice for thousands of years. 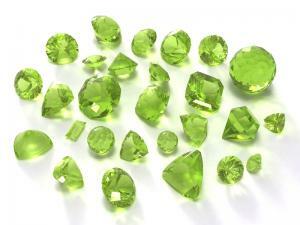 Most jewelry-quality peridot comes from the United States. According to Gemval, peridot ranges in price from about $36 per carat for very light colored gems to about $77 a carat for bright green specimens. Rating 6.5 to 7.0 on the Mohs scale, it is a good choice for rings that receive occasional wear or other pieces that are not subjected to abuse. Their captivating red color, high durability, and status as the official birthstone of July make rubies a top pick for jewelry. Made of the same mineral as sapphires, called corundum, rubies make beautiful precious gems. 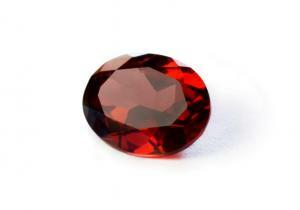 According to Geology.com, any example of gem-quality corundum that is red in color is considered a ruby. Rating a 9.0 on the Mohs hardness scale, rubies are among the most durable gems. They are ideal for daily wear, and they make a gorgeous choice for an engagement ring. According to the GIA, high quality rubies are the most expensive colored gemstones on the market, and those examples with a vivid, deep red tone are the most costly. 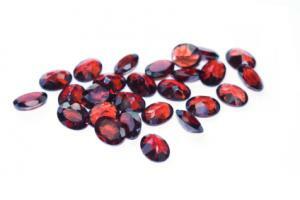 Made of the same material as ruby, sapphires can be any non-red shade of corundum. They are the birthstone for September. The most common color of this precious gem is blue, although they can also come in yellow, pink, orange, and many other shades. There are even white sapphires, which offer a more affordable alternative to diamonds. Equally durable compared to rubies, sapphires are ideal for daily wear and for use in rings. According to the International Colored Gemstone Association, the most valuable sapphires are those than have a deep, rich color, very few inclusions and other flaws, and a spectacular cut. 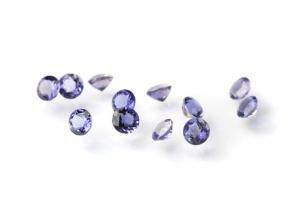 The highest quality sapphires are very rare and are prized for use in jewelry pieces. 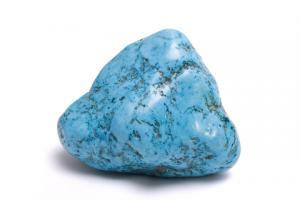 A semi-precious gem with a soft texture and beautiful green or blue color, turquoise is a beautiful choice for jewelry. It's particularly popular in Native American jewelry, but it is also a non-traditional engagement ring choice. Mindat.org indicates that this gem is very soft, rating only 5.0 to 6.0 on the Mohs scale. It also has some structural instability, and many examples are treated with stabilizing compounds. Because it is so fragile, turquoise jewelry is not the best choice for daily wear. However, a protected setting can help. This gem is lower in cost than many precious alternatives, but high-quality examples can still be quite expensive. 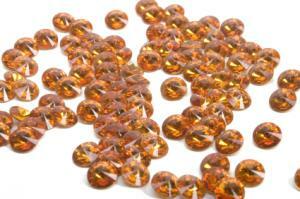 As a durable and affordable gem, topaz is a favorite among many jewelry enthusiasts. According to Minerals.net, topaz naturally occurs in a wide variety of colors, including blue, brown, orange, pink, green, and yellow. When coated with a thin color film, topaz takes on a rainbow tone and the name mystic topaz. Rating 8.0 on the Mohs scale, topaz is durable enough to wear on a daily basis. In yellow or orange, topaz is one of the birthstones for November, and in blue, it is a birthstone for those born in December. 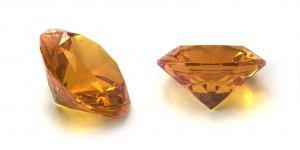 Gemval.com reports that the cost of topaz is highly variable, depending on color. Colorless specimens cost an average of about six dollars per carat while the rare light purple stones average about $640 per carat. Due to its attention-grabbing bluish-purple color, tanzanite is another gorgeous choice for jewelry. According to Gem Resources, this type of ziosite was discovered in 1967 and has become incredibly popular. Mined only in Tanzania, this gem is rare and has a gorgeous color-changing property depending on the angle of view. Rating 6.5 on the Mohs hardness scale, this gem should be worn in protected settings, and it's a good idea to remove rings during potentially damaging activities. 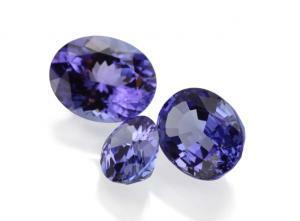 Top quality tanzanite, which has a rich color and very few inclusions, can retail for more than $1,000 per carat. Choosing a gem for your next jewelry purchase is mostly about personal preference, but it's also important to consider durability and cost. Some gems, such as diamonds, are especially durable and perfect for daily wear, while others, like pearls, need to be protected. It also helps to know a bit about the traditional meanings of gemstones. Learning about your options can help you select the perfect gem for your tastes, budget, and lifestyle.